I will be signing my book tomorrow eve in Bremerton during their Art Walk at The Weekender, from 5 to 8. The Weekender is a shop owned by my friend Jodi Davis and her mom Nancy. I have known both ladies forever, dating back to my wholesale showroom days, so I excitedly jumped at the chance when they asked me if I would come over and sign books. I will give a full report on their shop upon my return, but I am sure it is insanely cool as they both have a great eye. 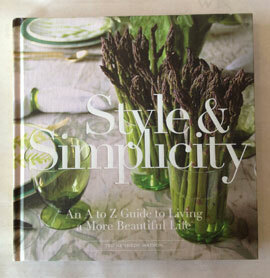 They are also amazing vintage-ers, so I am sure many fab finds sprinkle the space. If you are in the area or are looking for a fun Friday night activity, hope to see you there. Jodi and her talented chef husband Alan also own Scout Café and Honor Bar close to the shop so stop in for a coffee, a cocktail or a bite that evening or sometime when you are in Bremerton. 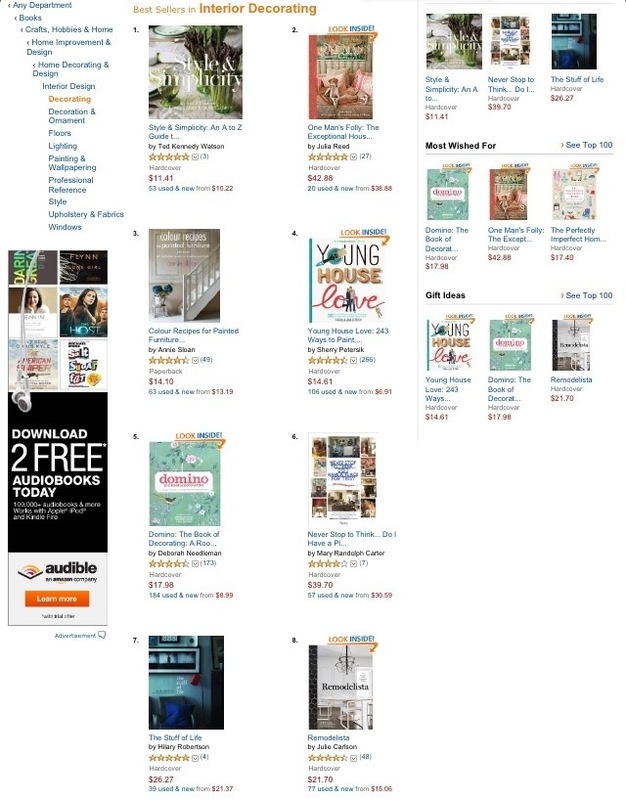 A little tid-bit I must share as it thoroughly made my day on Wednesday was that Style & Simplicity hit the number one spot in sales on Amazon in the “Interior Decorating” section. I also found out that day from my publisher that the book is already going into its second printing! It was a happy day indeed. Truly, thanks to any and all of you who have bought a book or books/spread the word about it. It is off to a grand start after less than a month since it was first released, and there are many more signings & fun things in the future/in the works.